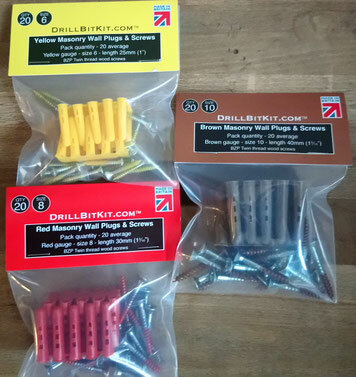 The Drill Bit Kit® is a colour coordinated set of drill bits, wall plugs and screws. We are delighted to announce that we have just been granted a patent for inventing the Drill Bit Kit®. We're so proud and happy that our hard work and dedication has paid off. Thank you to everyone who supported us along the way! Drilling a hole for that shelf or those pictures couldn’t be easier. Just choose small, medium or large, then use the same colour bit, plug and screw. Check out more videos of the Drill Bit Kit in action. "Your packaging is perfect as is the kit itself and will be highly recommended to all of my useless DIY'er friends. Thanks again for your great customer service but more for your excellent Drill Bit Kit, please keep up your great work." "I was delighted when I came across your wonderful kit in Sainsburys. I have just moved into a new house and was dreading putting pictures on the walls, now I am actually looking forward to the job. Fantastic product with straightforward easy to understand instructions." 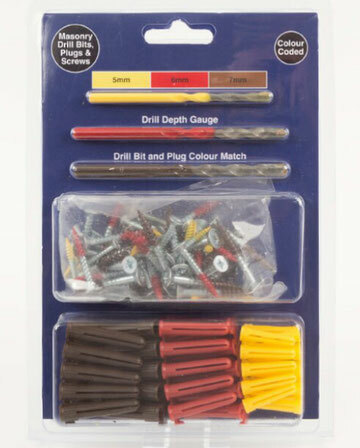 Remember, you can also buy the Drill Bit Kit in DIY stores. See a list of our current retailers. Here's a little bonus for Drill Bit Kit fans. 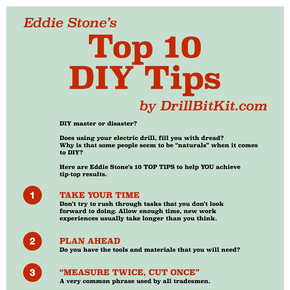 Check out Drill Bit Kit founder Eddie Stone's Top 10 DIY Tips.